Applications due by November 15. For complete description and application instructions please click here. The O’Neill Institute for National and Global Health Law seeks a candidate to serve as an O’Neill Institute Associate to work on domestic and global health law and policy projects. The O’Neill Institute is housed at Georgetown University Law Center in Washington, DC. Associates are based at the Law Center and report to the O’Neill Institute Executive Director and Deputy Director. Associates work on legal policy projects including researching and drafting white papers, organizing research colloquia, expert meetings, coordinating interdisciplinary research teams, and grant writing. Associate positions are for one year with possible renewal. Associates will receive a competitive salary with outstanding benefits. Candidates should have a J.D. degree and outstanding research and writing skills. Candidates with advanced training in public health and economics are preferred. They should also have experience in areas such as public health law and financing, health reform and healthcare systems (U.S. and comparative), and food and drug law. Applications should be submitted electronically. Complete the online application here. The application should include: resumé, cover letter, writing sample, professional references (list and contact information only, no letters of recommendation please), official law school transcript, and other graduate school transcripts (if applicable). The application deadline is November 30, 2013. Any questions about the position should be directed to oneillinstitute@law.georgetown.edu. Alliance for Justice is offering a public interest fellowship to a recent law school graduate. The term of the fellowship will be from September 2014 through August 2015. The 2014-2015 Dorot Fellow will work on our Justice Programs, including our Judicial Selection Project, our Supreme Court campaign, and other access to justice issues. Through our Judicial Selection Project, Alliance for Justice vets nominees to the federal judiciary, working closely with Senate offices, the White House, and the U.S. Department of Justice. The Judicial Selection Project also educates the public and the press to ensure that only fair, qualified, individuals committed to social justice are confirmed. Through our Supreme Court campaign, Alliance for Justice analyzes and comments on Supreme Court decisions that benefit powerful corporate interests at the expense of everyday Americans. Under the leadership of Chief Justice John Roberts, the Court has radically rewritten laws in order to shield big business from liability, insulate corporate interests from environmental and antitrust regulation, make it easier for companies to discriminate, and enable powerful interests to flood our election process with special interest dollars. Don’t delay! Applications due no later than November 1. For complete description and application instructions please click here. The Fellowship is sponsored the Center on Budget and Policy Priorities, a national policy institute, and the State Fiscal Analysis Initiative (SFAI), a network of public policy organizations in over 40 states that participate in debates over budget and tax issues and other issues in their states that affect disadvantaged communities and families. Fellows will spend two years as entry-level analysts working with a state policy organization belonging to the nationwide SFAI network. Fellows will research and write analyses on current policy issues; brief policymakers, journalists, and others on these issues; and serve as a resource for advocates and community groups. These are paid, full time positions with benefits. Fellows will participate in a professional development program that includes a week-long seminar in Washington, D.C. and additional training opportunities, including national policy conferences. Additionally, fellows will be partnered with mentors who are leaders in their field. 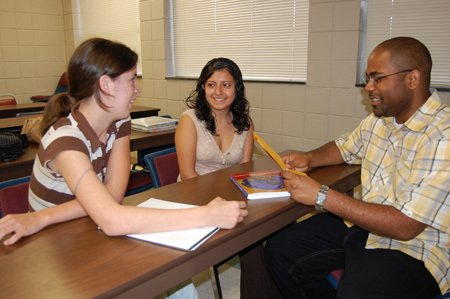 To be eligible for the program, candidates must 1) have a graduate degree in public policy, public affairs, economics, social work, public health, law, or a related field by August 2014, 2) have a strong academic record, and 3) be eligible to work in the United States for the two-year duration of the program. Application requirements include a personal essay, resume, copies of undergraduate and graduate transcripts, and two letters of recommendation. Completed applications must be submitted by January 24, 2014, but we encourage applicants to apply earlier. The fellowship will begin in the latter part of August 2014. For complete info please click here. The Hon. Marco Hernandez, U.S. District Court, Portland, is accepting applications for full-time judicial externships. Apply for summer and fall quarters by February 28. Learn more about Judge Hernandez here. Be sure to meet with your career coach before applying. Submit a letter of interest, resume, writing sample, law school transcript (unofficial is fine), and names of three references to Honorable Marco Hernandez, U.S. District Court, 1427 U.S. Courthouse, 1000 SW Third Avenue, Portland, OR 97204. Mr. Benjamin Aritao Jr., Barer Fellow; LL.M. 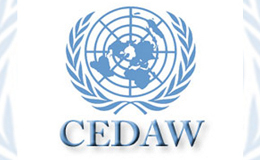 Candidate in Sustainable International Development, UW Law; Founder of The Paper Project, Inc. When? Tuesday, October 29, 12:30-1:20pm. Join Lisa Daugaard, Policy Director at The Defender Association, and UW alum Dan Satterberg, King County Prosecuting Attorney for a discussion of Racial Disparities in the Criminal System and local collaborative efforts to address the problem. If you would like lunch please RSVP via Symplicity or gatespsl@uw.edu. Please RSVP by 12:00 pm Monday, October 28, 2013. The UW Law School Chapter of the American Constitution Society is hosting an informal panel discussion about the importance of diversity in the judiciary. The panel will include Justice Steve Gonzales as well as members of the Washington Leadership Institute who will discuss their own experiences as well as the broader importance of diversity in the judiciary. What is an externship? How do I apply for one? How do I register and earn credit? In this session, we will answer your questions and many more as we explain the nuts and bolts of externships. We will also provide an overview of the objectives and requirements of our Externship Program, and outline the responsibilities of student, field supervisor and faculty supervisor. 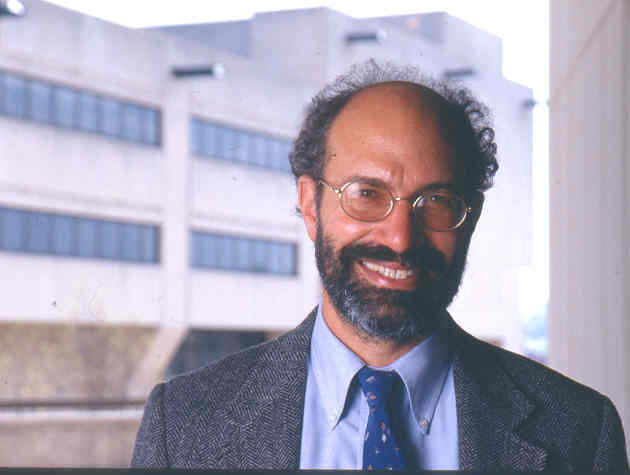 Professor Jules Lobel is the Bessie McKee Wathour Endowed Chair at the University of Pittsburgh School of Law. Lobel is the co-author with David Cole of Less Safe, Less Free: Why America is Losing the War on Terror (2007), which won the first Roy C. Palmer Civil Liberties Prize for exemplary scholar-ship exploring the tension between civil liberties and national security. He is also the author of Success without Victory: Lost Legal Battles and the Long Road to Justice in America (2003), and editor of several books on civil rights litigation as well as the U.S. Constitution. Lobel is president of the Center for Constitutional Rights, a national human and constitutional rights organization headquartered in New York City. He has litigated numerous cases involving constitutional and human rights issues in the United States courts, including several cases challenging presidential assertions of executive power to unilaterally initiate warfare and cases challenging US policy toward suspected terrorists. Professor Lobel involved his students in all these cases, giving them first hand exposure to the constitutional litigation of important and complex issues. Sponsored by the Center for Human Rights; the Hilen Endowment for American Literature and Culture; the Law, Societies & Justice Program; the Program on Values in Society; the UW School of Law; and the Simpson Center for the Humanities. When? Friday, Nov. 1, 10am-4:30pm. 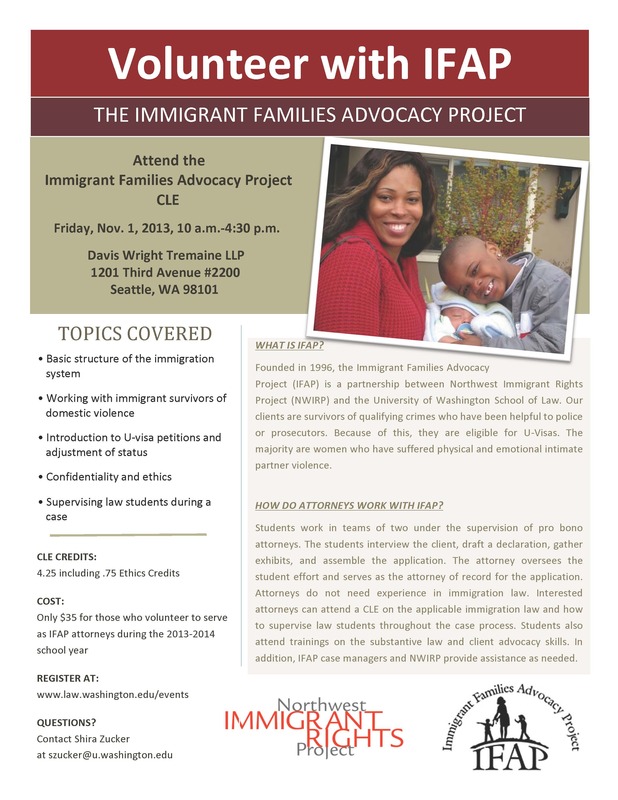 The Immigrant Families Advocacy Project (IFAP) seeks volunteer attorneys to take on U-Visa cases and supervise student teams in 2013-2014. IFAP, a project of the University of Washington School of Law and the Northwest Immigrant Rights Project, pairs pro bono attorneys with law student teams to help secure U-Visas for immigrant survivors of qualifying crimes. The majority of clients are women who have suffered physical and emotional intimate partner violence. Attorneys do not need any experience in immigration law. IFAP provides the necessary training. Pro Bono attorneys who are new to IFAP must attend our annual CLE. This year’s CLE is hosted by Davis Wright Tremaine, 1201 Third Ave., Suite 2200, Seattle, on Friday, Nov. 1st from 10am-4:30pm. Registered attendees get 4.25 CLE credits, including 0.75 ethics credits. The cost is $35 for those who volunteer to supervise a student team and take on a U-Visa case, and $150 for attendees who do not volunteer. Dont’ delay! Registration ends October 30. To register please click here. Attorneys who have previously attended the CLE needn’t attend this year in order to volunteer. To RSVP as a repeat volunteer, e-mail Shira Zucker. At UW Law, we believe that members of the legal community have an obligation to help reduce barriers to access to justice. 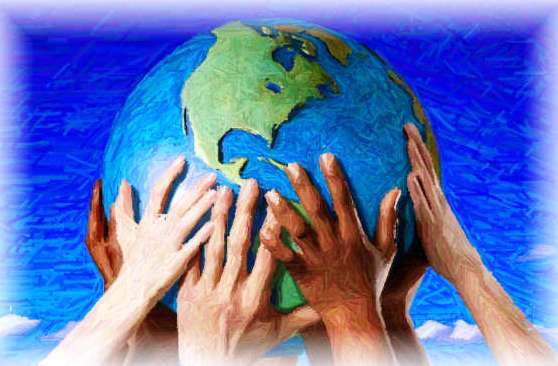 Providing high quality pro bono legal services to low-income clients and other under-represented groups is paramount. To this end, the UW Law School’s Pro Bono Honors Program encourages our law school community (students, faculty and staff) to provide pro bono legal assistance. We particularly encourage JD law students to pledge to provide at least 70 hours of law-related pro bono assistance by graduation. By providing training, support, resources, opportunities and leadership development to our students, the program ensures that future lawyers are prepared and ready to fulfill the promise of equal justice. Thank you to all the students, faculty and staff who took time out of their very busy schedules to participate in the production of these videos. A special thank you goes out to Damien Koemans who put many hours into producing the videos and to Tiffany Sevareid who helped us with web content in a pinch. Another special thank you goes out to Danny Hyatt who transformed the Pro Bono Honors web pages this past summer making it more inviting and user friendly. See both videos on the Pro Bono Honors Program main page here. 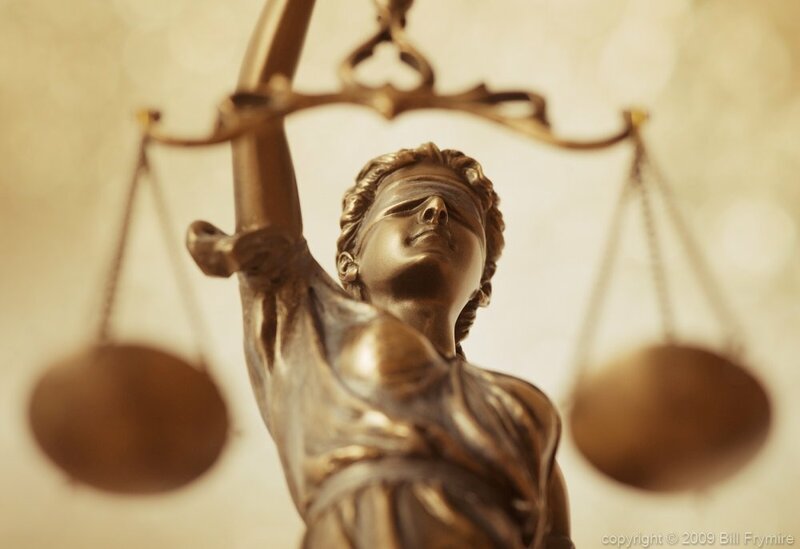 Latest News from LegalVoice–Last week, the Washington Supreme Court issued a powerful decision that holds police accountable for women’s safety. In 2008, Baerbel Roznowski of Federal Way was stabbed to death by her partner, Paul Kim. Ms. Roznowski was killed shortly after Federal Way police served Mr. Kim with a protection order she had obtained against him. The order required Mr. Kim to stay 500 feet away from her home. When she obtained the protection order, Ms. Roznowski filled out paperwork that clearly informed the police about the threat she faced from Mr. Kim. She specifically stated that he was likely to react violently when served with the order, and that he did not know she had obtained the order. She also indicated that Mr. Kim would need an interpreter to understand the order. But the police officer who served the protection order did not even read the information Ms. Roznowski provided. Instead, the officer knocked on the door to her house, handed the order to Mr. Kim, and walked away – leaving Ms. Roznowski alone in her home with Mr. Kim, who murdered her just three hours later. On October 17, the Washington Supreme Court unanimously affirmed a jury verdict holding the City of Federal Way liable for negligence in connection with Ms. Roznowski’s death. The Court held that the police officer failed to act with reasonable care in serving the protection order and had a duty to guard Ms. Roznowski against Mr. Kim’s violence when serving the order. Legal Voice filed an amicus brief arguing that law enforcement officials must act with reasonable care in serving protection orders – especially when an order separates intimate partners. We emphasized that women are at a particularly high risk of violence when they try to leave an abusive partner, and that police must take reasonable steps to guard against the risk that an abuser will react violently when served with a protection order. Legal Voice’s amicus brief was joined by the Washington State Coalition Against Domestic Violence, the Northwest Justice Project, and Washington Women Lawyers. Laura Clinton, Erica Franklin, and Tia Sargent of K&L Gates served as Legal Voice’s cooperating counsel in the case. The ruling recognizes that Ms. Roznowski’s murder could have been prevented if the police had taken the threat she faced seriously. While nothing can compensate Ms. Roznowski and her family for her needless death, we hope this decision will mean that what happened to Ms. Roznowski will never happen to another woman in Washington. Nobody is perfect. At times we have difficulty managing our finances, we don’t always take our medications as planned, and sometimes we don’t perform up to par at work. However, research shows that people experience these problems to different degrees. Across financial strata, research reveals that the financially less well-off engage in these behaviors more often than those who are financially stable (1). These behaviors are particularly concerning, because, for those with limited financial resources, they can lead to poverty as well as perpetuate it. However, it is important to note that their explanation is not limited to the traditional populations of poverty, defined by a specific income level or ability to access basic human needs. The authors define poverty “broadly as the gap between one’s needs and the resources available to fulfill them.” That is, people in poverty are those who feel “poor,” who feel they have less than they need. In the present work, Mani et al. demonstrated the impact of poverty on cognitive resources in two very different populations, New Jersey shopping mall-goers and Indian sugar cane farmers. The research showed that although the financial wealth differs considerably between these two populations, the “poor” in each population experienced diminished cognitive ability as a result of the cognitive burden imposed by their respective levels of poverty. The University of Washington is delighted to announce the formation of the Green Seed Fund, a grant opportunity for sustainability-focused research projects. Newly-established by President Young and Provost Cauce, the Fund seeks to engage the UW community in research that advances sustainability on campus and beyond. Successful grant proposals will use the campus as a living, learning laboratory and help the UW find solutions to the most pressing environmental issues. Proposals for 2013-2014 grants may be submitted immediately. All proposals are due by 5:00 p.m. on Tuesday, December 3, 2013. Grants are open to UW Seattle, Bothell, Tacoma and affiliated field stations, as well as UW Medical Center, and Harborview. Research teams are required to include at minimum a faculty, student and staff member. Approximately $250,000 of funding is available for Fiscal Year 2013-2014. The average award will be $25,000-75,000. Projects should be approximately one year in duration and should not exceed two years. Applicants will also be required to provide letters of support from any campus unit potentially impacted by the proposed scope. Friendly Reminder! The Pro Bono & Externship Fair will replace Social Justice Tuesday on October 22. Don’t miss out on a once a year opportunity at UW Law to directly connect with pro bono and service learning opportunities. Special Guest Speakers include Brad Smith, Executive Vice President and General Counsel, Microsoft Corporation and Wendy Young, President, Kids In Need of Defense. ABOUT VAIJ: Over the past ten years, thousands of immigrants and refugees in our community have been impacted by VAIJ’s attorneys, volunteers and supporters. Please join us to celebrate this work and to welcome the next chapter of our organization. Launched in 2003, VAIJ is a joint initiative of Microsoft Corporation and the American Bar Association’s Commission on Immigration and the Seattle affiliate of Kids In Need of Defense. VAIJ provides access to pro bono counsel to immigrants and refugees, particularly unaccompanied children, in removal proceedings. Since its inception, VAIJ has provided training to more than 300 attorneys and volunteers, and provided legal orientations, intakes and representation to hundreds of immigrants in removal proceedings. As our work has come to focus on meeting the need for legal representation of unaccompanied alien children in federal custody before US immigration authorities in the Puget Sound area, we are moving into a new chapter and, on October 1, 2013, became the Seattle office of KIND. We hope you can join us to celebrate. Please RSVP: via Symplicity or gatespsl@uw.edu by Tuesday, October 22, 2013, no later than 12:00pm. Please join Supervising Attorneys, Chach Duarte White and Clay Wilson and former student interns for an important information session about the Moderate Means Program. Learn about the program’s goals, how it works and how you can volunteer! The Moderate Means Program is a joint venture between the WSBA and the three law schools in Washington State. The purpose of the program is to increase access to civil legal services for moderate means individuals (those between 200% and 400% of the federal poverty level), who cannot afford to hire private attorneys at prevailing rates but make too much money to qualify for traditional civil legal aid services. Interns have direct contact with clients and attorneys dealing with everyday legal issues in Family, Housing, and Consumer law. Columbia Legal Services will celebrate their pro bono partners, whose collaborative advocacy on behalf of thousands of low-income individuals and families work to achieve a vision of justice, and a more inclusive and equitable society. The Columbia Legal Services Pro Bono celebration is free to attend, but donations and your support of our work for justice will be gratefully accepted. When people have the necessary tools and opportunity to achieve social and economic justice, a more inclusive and equitable society is possible. How do I reserve a free ticket? Reserve your seat – tickets are FREE – at: americanwintertacoma.eventbrite.com or call (253) 572-5134 or e-mail vls@tacomaprobono.org for more information. The Pierce County Foreclosure Prevention Roundtable is pleased to announce the screening of American Winter at 6:30 p.m. Oct. 24 at the Grand Theatre in Tacoma. The documentary, directed by Emmy Award-winning filmmakers Joe and Harry Gantz (Taxicab Confessions, The Defenders), follows the personal stories of eight families struggling in the wake of the economic downturn. Shot over the winter of 2011-12 in Portland, OR, this powerful film reveals the human impact of budget cuts to social services, rising poverty and economic inequality, and the fracturing of the American Dream. American Winter premiered on HBO in March 2013 and won Best Documentary Award at the Portland International Film Festival. Most recently, American Winter won “Best of the Festival” at the Workers Unite! Guests are invited to stay following the film for a reception at Corina Bakery next door to the Grand Cinema, as local experts and co-director Harry Gantz talk about how the themes of American Winter are relevant in our community, and learn more about the resources available in Pierce County to help prevent foreclosure and its consequences. This screening is brought to Washington by the partners of the Pierce County Foreclosure Prevention Roundtable – including: Seattle University School of Law’s Foreclosure Mediation & Outreach Project, Tacoma-Pierce County Bar Association’s Volunteer Legal Services Program and Home Justice Project, Northwest Justice Project’s Foreclosure Prevention Unit, Washington Attorney General Consumer Protection Division, Washington State Housing Finance Commission, Columbia Legal Services, Associated Ministries, Washington Department of Financial Institutions, Washington Association of Justice, South Sound Outreach, Parkview Services, Pierce County Center for Dispute Resolution, Puget Sound Mediation, and others including housing counselors, mediators, paralegals and attorneys. A broad umbrella group of American human and civil rights groups has filed a joint submission to the United Nations, calling for the United States and the Obama administration to hold itself to the same international standards of human rights compliance as it does other nations. In more than 30 so-called shadow reports filed by the U.S. Human Rights Network (USHRN), advocacy groups raised a number of concerns and issues, including racial profiling, gun violence, stop-and-frisk policies and Stand Your Ground laws. “While USHRN recognizes the positive steps the U.S. has made towards the advancement of human rights, it remains concerned about the general trend of the country and the large number of individuals whose rights as provided for under the [International Covenant for Civil and Political Rights] remain unprotected, in particular the racial, ethnic, gender, and class disparities that persist in the enjoyment of those rights,” the USHRN wrote in its submission. The Curtin Justice Fund Legal Internship Program is seeking motivated law student interns to apply for stipends available for the Summer 2014 Program. These students should have a position offered, contingent on funding, from a qualified organization. The Curtin Justice Fund Legal Internship Program is managed jointly by the ABA Commission on Homelessness and Poverty and the Standing Committee on Legal Aid and Indigent Defendants. The Program will pay a $2,500 stipend to three law school students who spend the summer months working for a bar association or legal services program designed to prevent homelessness or assist homeless or indigent clients or their advocates. The Legal Internship Program will provide much-needed legal assistance to organizations serving the under-represented and give students direct experience in a public interest forum. Through this, it aims both to help homeless clients and to encourage careers in the law that further the goals of social justice. Application Deadline: March 31. For complete description and application instructions please click here. For more info on how to fund your summer in public service please attend the January 14 Social Justice Tuesday. You can also learn more here. If you speak a second language, the Clinical Law Program Language Bank needs your skill. All foreign languages are required but there is a high demand for interpreters of Spanish. As a volunteer interpreter, you will assist clients of the Clinical Law Program (CLP) and Immigrant Families Advocacy Project (IFAP). A free interpreter orientation (four hours) will be provided here at the Law School. Interpreting assignments involve phone conversations and face-to-face interviews as well as document translations. No in-court interpreting is involved. Assignments are offered via email and you decide whether to volunteer for the assignments. In most instances, dates and times for the interpretation are set in coordination with your fellow law student who is assisting the client; thus, providing maximum scheduling flexibility. Most assignments do not require any travel. Although requiring only a few hours of your time during the year, by volunteering you will provide invaluable public service and experience the satisfaction of helping others. For more information or to volunteer send your full name, class, UW email address, phone number, language competency and any questions to: hdaniels@u.washington.edu. Applications to be involved with the International Treaty Monitoring Project, sponsored by CHRJ, are due this Friday, October 18. Click here to access the application form! 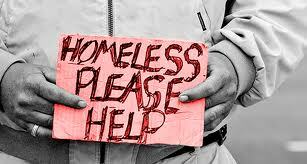 Arizona’s Anti-Begging Law Declared Unconstitutional. In Flagstaff, Arizona, a federal judge struck down as unconstitutional an Arizona state law that made it a crime to beg in public places. The ruling follows a recent trend, reported in the May issue of IJT, of federal rulings striking down laws banning begging. Read the full decision here. The ruling comes at a time when increased need has pushed more and more people out on the streets. In a misguided response, many communities have adopted ill-conceived laws and policies to criminalize conduct such as sleeping, eating and begging in public places. According to the National Law Center on Homeless and Poverty’s Criminalizing Crisis report, over 120 cities of 234 surveyed had bans on begging, and such bans had increased 7% over the previous two years. The lead plaintiff, a 77 year old Hopi woman, had been arrested after asking an undercover police officer for $1 in bus fare.